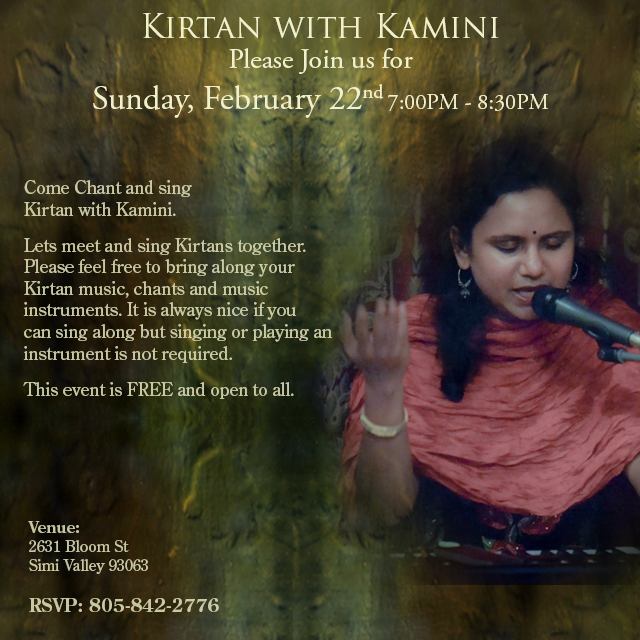 Lets meet and sing Kirtans together. Kirtan is a call and response style of singing and chanting together various Mantras. Man means mind, Tra means that which frees.